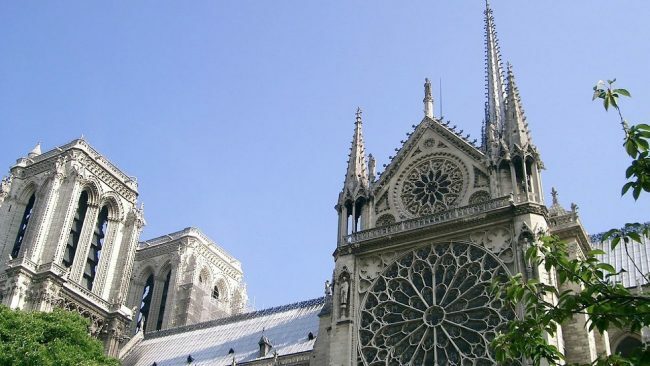 A fire has engulfed the Notre-Dame cathedral in Paris on April 15, 2019 shortly before 7:00 pm, on the holy week of Easter. Last year there was an appeal from the church to raise funds to help save the cathedral. Photographs posted on Twitter and other social media show plumes of smoke coming from the Cathedral as firefighters continue to fight the blaze. Officials have reported the fire may have been caused by renovation to the cathedral. In March, there was a fire at Saint Sulpice Church in France. This was the same church used in the movie Da Vinci Code” by Dan Brown. Firefighters report there have been no injuries reported. MSNBC is reporting there is a hail storm of debris falling from the cathedral. They also reported the steeple has fallen into the church. The mayor of Paris asked people to stay away from the area, and Macron has canceled his planned speech this evening.